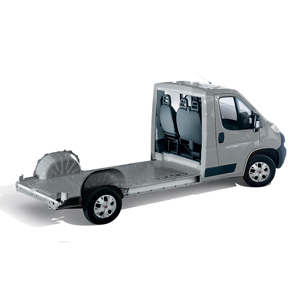 The Ducato has always been the favourite conversion vehicle of body fitters and coach builders. 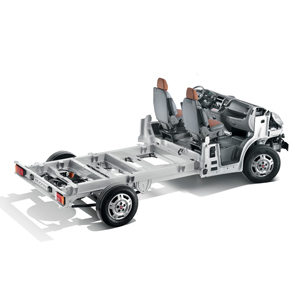 double leaf spring rear suspension to support any type of conversion specific rear suspension for every mission. 4 wheelbase options and a long wheelbase version with additional overhang. Front seats consisting of two single seats or a driver’s seat plus a two-seater bench. 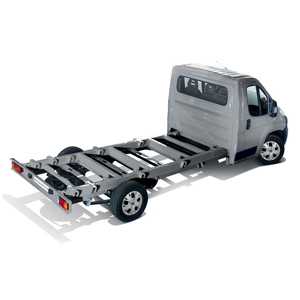 For all those conversions which require lightness and flexibility combined with a reduced access threshold height. Threshold only 53 cm from the ground. Supplied without seats, pillars and windscreen. 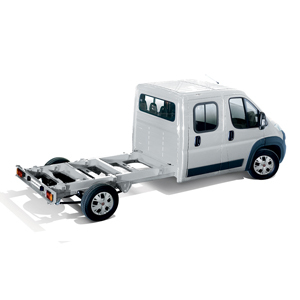 2 different mechanical structures, the Ducato and the Ducato Maxi, with 16” wheels and reinforced suspension.